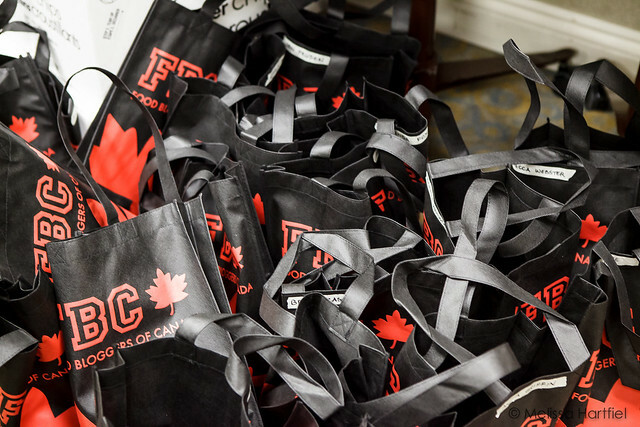 After the sold out success of FBC2013, Canada's first and only national food blogging conference, we are very excited to be returning for our second year with this friendly, intimate conference that celebrates Canadian food blogging. This year we are heading west with #FBC2014 to the beautiful Four Seasons Vancouver Hotel. From October 17th - 19th you will have the opportunity to meet and socialize with other bloggers, learn from exciting speakers, and connect up with brands who want to meet you! Where to start with everything that will be happening at this event packed with opportunities? Are incredible group of sponsors are what make FBC2014 possible. And what makes this conference unique is the access are attendees have to meet with brands one on one, face to face. Our sponsors want to meet you. Whether it's during our Friday night cocktail reception or throughout the weekend, you'll have the chance to mix and mingle with some terrific brands, including our title sponsor, Canadian Lentils, our platinum sponsors Dairy Farmers of Canada and Blend & Extend (Canada Mushrooms and Ontario Beef) or gold sponsors like Food Network Canada, Canadian Living, Chicago Cutlery, Tasty Turkey or Nordic Ware. Check out our full sponsor lineup to see who else will be on hand. This year, for the first time, we will be offering two pre-conference sessions! With a maximum of 20 attendees, these hands on workshops will be kept small to ensure you get individual attention. Cost: $125 with the purchase of a conference pass or $250 to attend only the workshop. You will have a chance to work in an intimate setting with one of the best photographer/stylist duos in North America who count Target and The Food Network among their clients. They will show you how to work with challenges like a limited gear and prop budget, poor kitchen lighting, small spaces and much more. You will need to bring your tripod, camera and camera manual with you to this session. Spend 3 hours with celebrated author and food writer, Dianne Jacob as she helps you hone your craft of food writing. Dianne's workshops are always well attended for a reason - she knows her craft and she will help you develop your skills to take your blog, articles or books to the next level. Our engaging keynote speaker, tv personality, best selling author, TEDx speaker and well-known travel write and blogger Robin Esrock, will be kicking things off on Friday night. The duo from Thug Kitchen, Gluten-Free Girl Shauna Ahern, Matt Armendariz, Adam Pearson and Dianne Jacob are just a few of the speakers leading sessions on Saturday and Sunday. You know our lineup will be packed full of information and useful tips you can put to work right away. In response to feedback from last year, this year we will be featuring fewer, but longer sessions with lots of time for Q&A. YOUR FBC CONFERENCE TICKET PROVIDES EVERYTHING! Friday night kicks off with a cocktail reception - you'll have a chance to get face to face with our sponsors and your fellow attendees for some informal "getting to know you" time. Next up is dinner at the Four Seasons with celebrated Chef Ned Bell, of one of Vancouver's top restaurants, Yew Seafood and Bar. Along with his team at the Four Seasons, Chef Bell will be overseeing our menu. Dinner will be followed by a dynamic experience with our engaging keynote speaker, Robin Esrock! Then, we'll be taking over Chartwell at the Four Seasons for our conference lounge where you can kick back, socialize and have a beverage or two. The FBC Lounge will be open all weekend long for you to enjoy. Saturday is a full day of sessions and includes breakfast, lunch, dinner (and snacks!). The duo from Thug Kitchen will be hosting an entertaining post-dinner session on "How The F*$#k Did We Get Here?" Sunday is a half day of sessions and includes breakfast and lunch. We’ll be wrapping up at 2pm. **your accommodation is covered if you purchase a full conference pass. Additional room charges for items such as room service, movies, phone calls and additional alcoholic beverages are not included. A Conference Only Pass does not include accommodation. Of course, there's also the swag bag chock full of goodies from our sponsors. We'll have more on that coming soon as we continue to partner up with exciting brands you'll want to get to know better. And last but not least, everyone who purchases their ticket by April 30th is automatically entered into a draw to win their FBC2014 Ticket. One lucky Early Bird Purchaser will win their conference pass! We’ll have lots more goodies in the weeks leading up to the conference and of course, lots will be happening on site during the event. You’re not going to want to miss it. This is an intimate and interactive event and for that reason, tickets are limited to 120 in total. You can purchase your ticket here starting at 10am pacific/1pm eastern time. The great news is, we've managed to lower our ticket prices this year in almost all categories. And, with a 5% tax rate in BC, this means even more savings over last year! Sponsored/Industry Tickets. This year we've introduced a ticket for those in the PR profession, or brand or industry representatives. If you are a blogger who is planning to attend as a sponsored blogger (ie... a company is paying all or a portion of your ticket and/or travel) and your sponsor is NOT on our official sponsor list, this is the ticket for you. Please note: if you are attending as a sponsored blogger, there are etiquette guidelines you must follow. Please contact us directly for more information. We have a very limited number of single occupancy tickets at an Early Bird Price of $849 + taxes & fees (after April 30th tickets will be $899 until Septebmer 15th and then $949 until October 16th), and Conference Only Passes (sessions and meals, no accommodation) for $449 + taxes & fees (after Sepember 15th the price will be $499 + taxes and fees). These are available on a first come, first served basis and there will not be any additional tickets released. We will do our best to accommodate roommate requests. If tickets sell out before all interested attendees are able to purchase a ticket, a waiting list will automatically be started on Eventbrite. If there are any refunds requested (see below) or transfers needed, we will contact those on the waiting list. Tickets are refundable within 30 days of purchase if purchased prior to September 15th. Tickets purchased after September 15th are non-refundable. Tickets are transferable up to September 15, 2014. While we promise to do our best to put you in touch with someone on our waiting list if needed, many of our materials (tickets, any sponsored giveaways, etc.) are personalized, so we regret that we will be unable to offer any ticket refunds or accommodate transfer requests after September 15th. The easiest and cheapest way to make your way to the Four Seasons from YVR is via rapid transit on The Canada Line. The train leaves from Airport Station located between the International and Domestic Terminals. Exit the train at Vancouver City Centre Station. It is approxiamately a one block walk west on Georgia Street to the Four Seasons Hotel. The trip is 26 minutes and fares vary depending on time of day. Taxis are readily available at YVR - a one way trip to downtown Vancouver can cost approxiamately $40 including taxes.